Royal Alfred Seafarers’ Society Marks Milestone Anniversary at AGM. Lord Mayor of the City of London, Alan Yarrow, joined maritime charity, the Royal Alfred Seafarers’ Society to celebrate its 150th anniversary at its AGM held at the Mansion House in London. Residents, volunteers and staff joined the charity’s board of management to mark the occasion in the very room, The Egyptian Room, the society was formed 150 years ago. During the meeting, a letter from Her Majesty the Queen was read sending good wishes to all involved with the society. 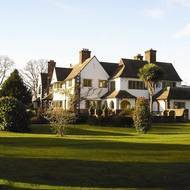 A maritime care home in Surrey has taken a huge leap into the world of green living, cutting its carbon footprint and working towards becoming self-sufficient. The Royal Alfred Seafarers’ Society has installed solar panels, a biomass boiler and a borehole at its facilities in Banstead. A pellet-fired biomass boiler has recently been installed, which uses pellets made from a high quality timber to produce heat and electricity with less effect on the environment than fossil fuels. The boiler will result in the home being less reliant on gas, reducing usage to under 20%. A seafarers’ care home in Banstead, Belvedere House welcomed a team of volunteers from local financial services provider, Legal & General for a day of gardening to revamp its grounds. Working in partnership with Business in the Community for this opportunity, the 12 employees from Legal & General spent a day revitalising the existing garden at the Royal Alfred Seafarers’ Society in Banstead, Surrey, which provides dedicated nursing care and accommodation for retired seafarers and their dependents. A maritime care home based in Surrey, has welcomed residents’ friends and families to participate in a Christmas carol concert to help residents with dementia to recover happy memories. The annual carol concert, held on Friday, December 20, offers relatives and friends the opportunity to join their loved ones for activities at the home and to meet the Royal Alfred team. This year, an abundance of residents’ family members descended upon the care home to get involved in the festivities, joining staff and other residents to celebrate the holidays. 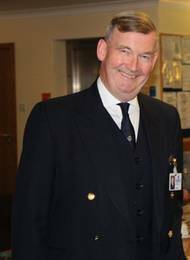 The Royal Alfred Seafarers’ Society Supports Campaign to Help Sailors. Sailors are renowned for spinning a good yarn, however on this occasion it is a volunteer at the land-locked Royal Alfred Seafarers’ Society who has been getting busy with her knitting needles to make hats for mariners as part of Woolly Hat Week (6-13 Feb). Maureen Phillips has spearheaded a knitting frenzy at the care home, which provides dedicated accommodation and care to former seafarers, and has already produced 15 hats which will be given as gifts to sailors who arrive as strangers in ports all over the world. 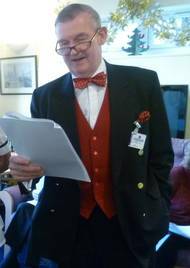 The Royal Alfred Seafarers’ Society’s Christmas Carol Service Helps Residents Remember. Dementia residents at The Royal Alfred Seafarers’ Society will be hitting the high notes this Christmas at a carol service which marks the culmination of an innovative programme of ‘musical therapy’ introduced this year to help their condition. The care home, which provides dedicated nursing and respite care to former seafarers and non-seafarers, introduced singing and music sessions to help relax residents’ minds and take the fear out of the condition which affects 750,000 in the UK. Maritime Organization Claims Smaller Charities are Suffering from Fall in Legacy Giving Ahead of Make a Will Month. 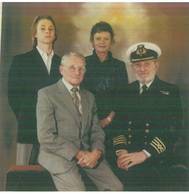 Surrey based Maritime charity the Royal Alfred Seafarers’ Society, which provides vital residential, nursing and specialist dementia care to former seafarers, has highlighted the importance of legacy giving ahead of National Make a Will month in November. Legacies are a key income source for UK charities, raising around £2 billion each year. However, trends suggest that the flow of legacies are at risk as budgetary cuts are felt across the country. World Travel, Camaraderie and Exciting Voyages Characterise a Career in the Maritime Industry, but Employment Figures Show Disinterest. 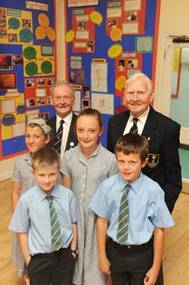 A group of former seafarers encouraged youngsters to consider important professions in the Royal and Merchant Navy, on World Maritime Day on Friday 30 September. Residents at the Royal Alfred Seafarers’ Society, a Surrey based home which provides dedicated accommodation and care to former seafarers and their dependants, said there is not enough awareness of the important role the Merchant and Royal Navy play in our society among the younger generation.